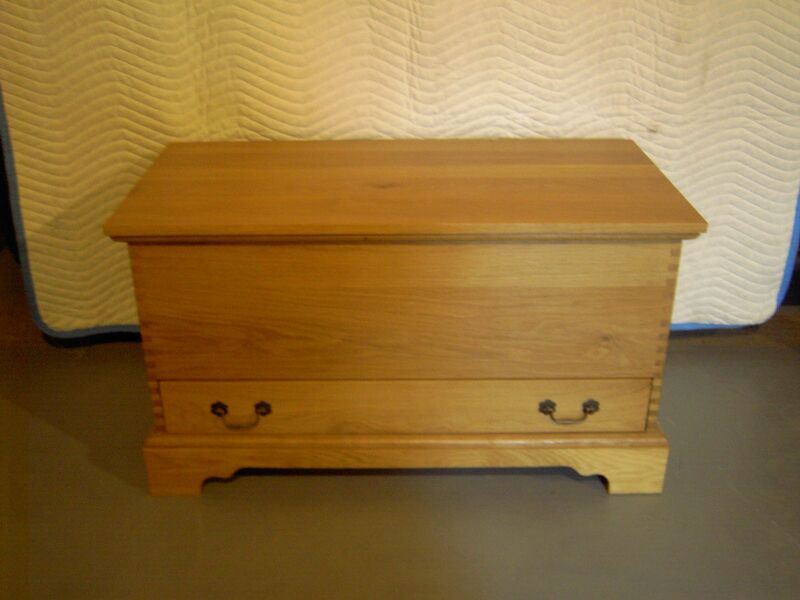 Blanket chest made of white oak. Has a rustic look finished natural. Draw in bottom. Used a box joint to join front,sides, and back. This chest made or solid wood.